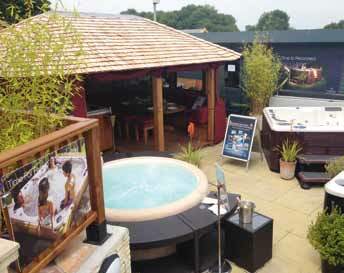 The Pool and Spa Company has completed a major show site revamp putting 60% of its displays under cover. Kent-based Hydropool retailers, The Pool and Spa Company celebrated the refurbishment of their Ruxley show site with an open day recently. The revamp has put 60% of displays undercover investing in the company as an all year round, weather proof show centre. The company now displays: 19 hot tubs, three swim spas and four saunas. The Pool and Spa Company showroom also boasts a steam room, a newly refurbished conservatory, a selection of spa buildings with a new modern storage facility and office space. The team has been busy at county shows and special promotional events all backed by a revamped website to help attract and support new customer enquiries.